A couples years ago, I started to discover when you really connect with a couple they may ask you to drive long distances on get on planes for hours to meet them somewhere fabulous and make some art. Gabrielle and Josh are just such a couple. When Gabrielle called me last summer, she told me that she works out at the same crossfit gym as my cousin, Brian, all the way in Virginia. She just happened to be scrolling the news one day and saw one of my images on the screen. 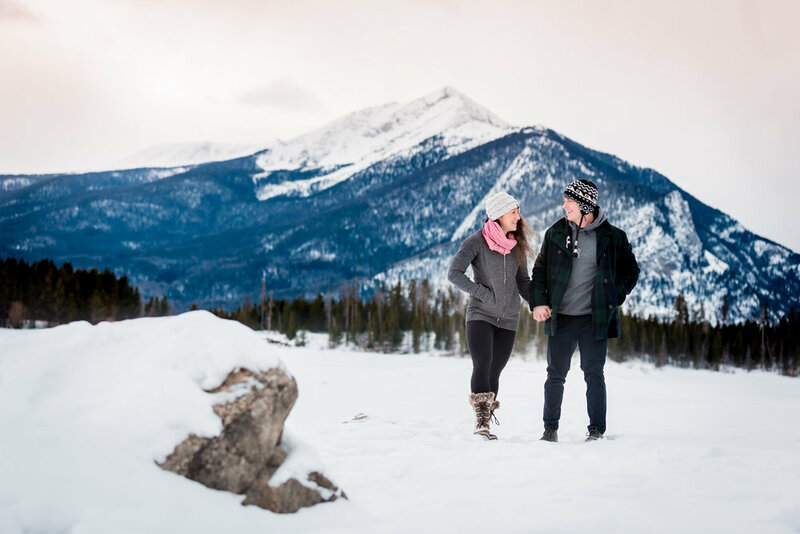 The next day, I received a phone call asking if I would venture to Breckenridge that coming summer to photograph their wedding at The Lodge at Breckenridge. I gladly offered my services. She told me my cousin knew she wanted to get married in Colorado and that he mentioned my name in passing a long time ago, and she had totally forgot until she saw my name pop up in her news feed! We thought, ah-ha!, it must be fate. 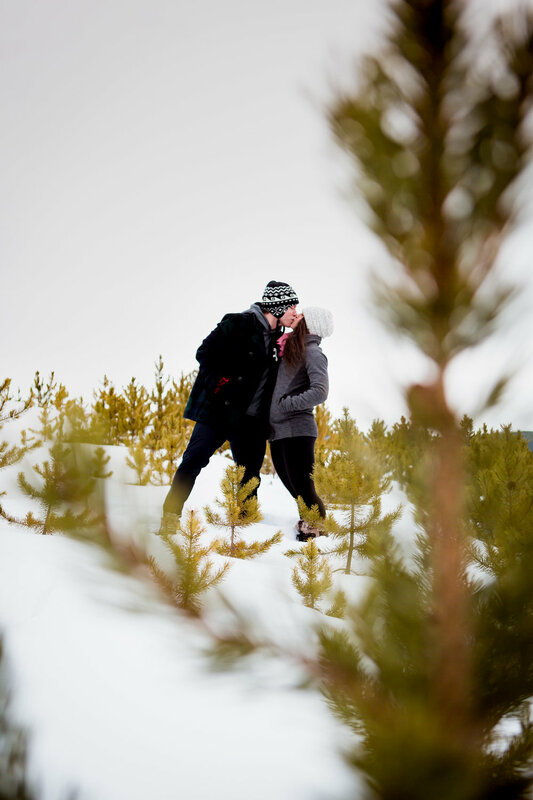 On New Year’s Eve I drove to Breckenridge from Durango to photograph Gabrielle and Josh’s winter engagement session. 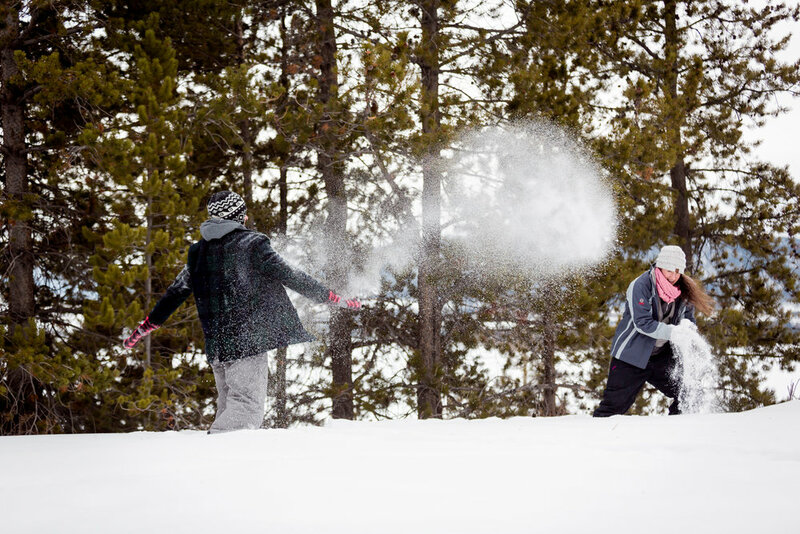 After meeting at a local coffee joint(the second time I went there that day as I’m a creature of habit), we ventured out into the knee-deep fresh, mountain snow at Dillon Lake. The wind was quite forceful that day with temperatures reaching single digits. Things like this happen around these parts and we knew this. So we may have been cold and a bit numb, but hey, its Colorado! These to two were such champs and really got into the playful spirit of their session. Gabrielle came to me and said that they really wanted to convey their playfulness and athletic sides because it best represents to them their love for one another. 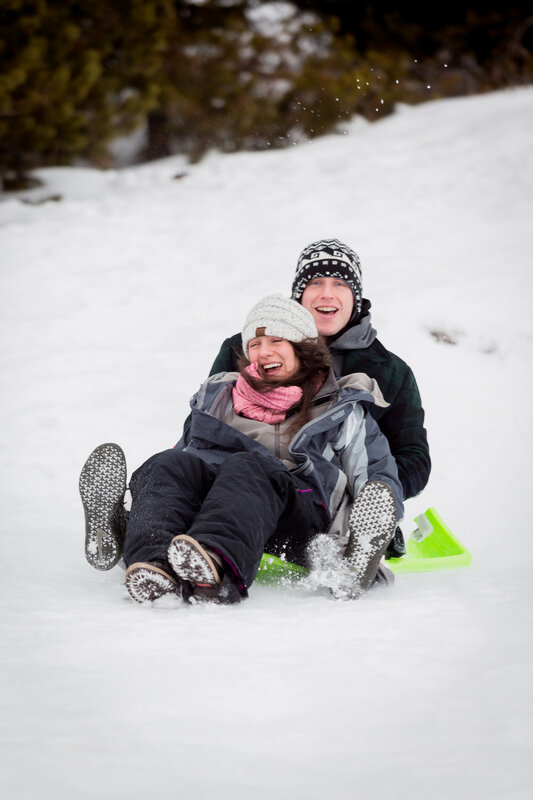 So we created an engagement session that checked those boxes: sledding together(the sled broke on the first run because of the cold! 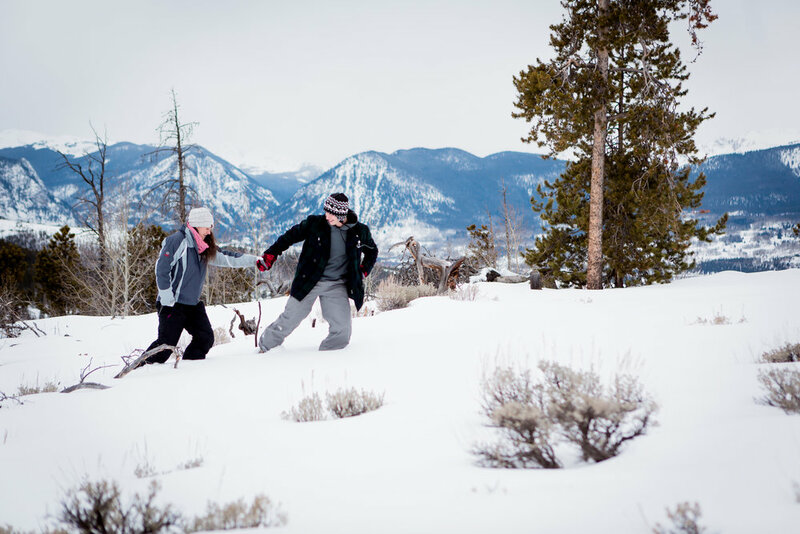 ), snow fights, piggy-back rides, and then finished it all off with a hike up Windy Point, and no that’s not just a clever name…ha ha!